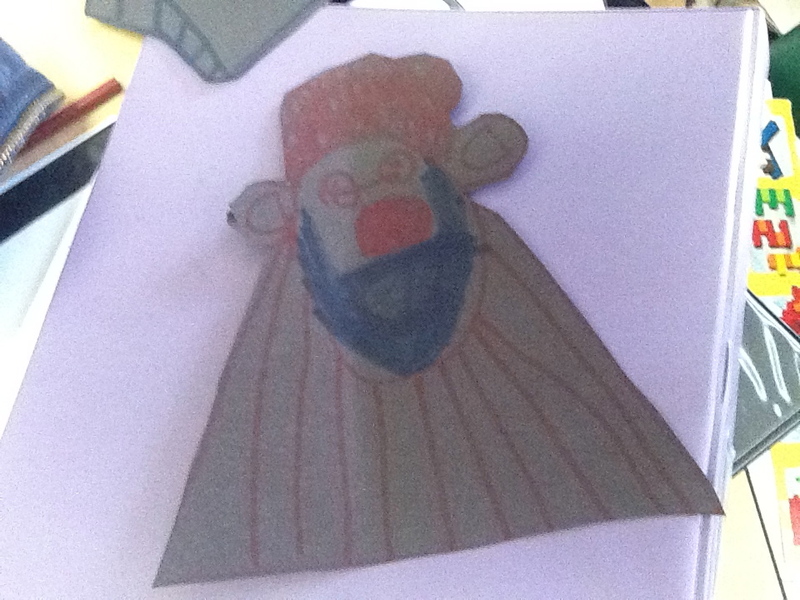 One of my Kindergarteners made this last week. I asked him if I could keep it ’till after the vacation, so we could display it in the classroom….and so I could photograph it and blog about it here. 1. Everett Anderon’s Christmas Coming by Lucille Clifton. Illustrated by Jan Spivey Gilchrist. Published by Henry Holt and Co. 1993. An owlet book. We read this book in the classroom, this past Friday before vacation. Now, this book is out of print, and selling for a small fortune on the Amazon market. 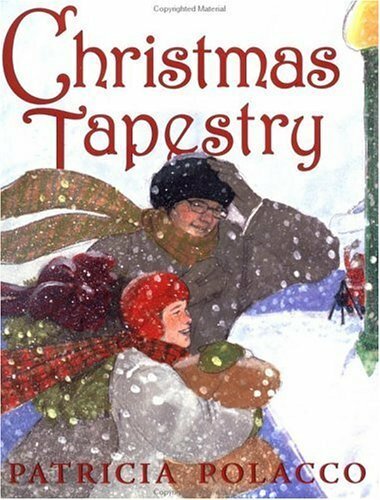 I bought it for about $3.00, including shipping, this summer….because I KNEW the price would sky rocket, because that’s what’s been happening of late with invaluable picture books..(that’s what I’ve been trying to tell ya’ll). Anyways, if you nag the sellers on Amazon, the price should drop. For example, back in February of 2012, I bought bell hooks’ out of print picture book, Skin Again, for $6.00 off of Amazon.Then, this past summer, I had a house flood, and the precious book was nearly destroyed. When I searched Amazon, and elsewhere online, for a replacement, the prices ranged from $65.00-$900. Hmmph. The sums of those hefty prices were not being pocketed by Ms. hooks, I can assure you that. Just another case of literature gentrification. I see it often in the #kidlit world. Anyhoo, I nagged every single dealer of Skin Again on Amazon, and stated that I wouldn’t pay more than $19.00 for it. All dealers refused to lower the price claiming they go by rankings blah dee blah. I began following the sales of it online. 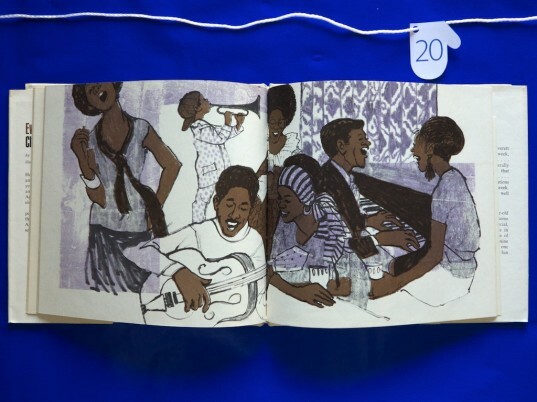 I also removed my praising blog posts of bell hooks’ picture books, in order to depopularize the book, as I had been the only blogger of hooks’ works for children, in the last year. The price finally dropped to the teens in November, and I bought a used copy for $18.00, from one of the sellers who originally listed it for $65.00. So, I don’t recommend paying outlandish prices for necessary children’s literature. If the money was going into the hands of people in the community, then fine. I’d pay the small fortune. But it’s not, so I won’t. I just wait for sales to go down. GIVE US BACK OUR LITERATURE, I say. 2. 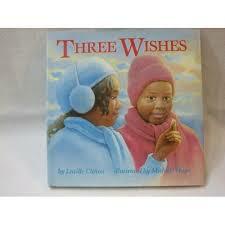 Three Wishes by Lucille Clifton. 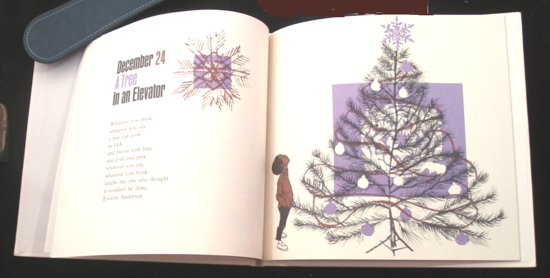 Illustrations by Michael Hays, Delacorte, 1992. It’s a New Year’s tale about friendship, loyalty, and faith. I plan to read this story in the classroom, on January 3rd, when the students return. 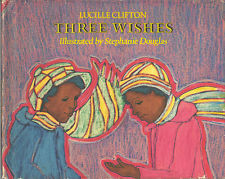 The original Three Wishes was illustrated by Stephanie Douglas, published by Viking (New York, NY) 1976. 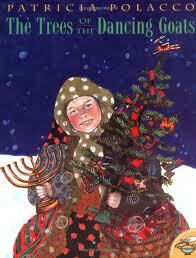 I realize that I didn’t get into much, or any, description of what these beloved holiday stories entail. However, if you appreciate the authors I’ve chosen, and are moved by the illustrations, and can google a summary of the books, then I say that you’re in good shape to go discover more about these books on your own. Happy 2014, everyone! Love greatly and read fervently.